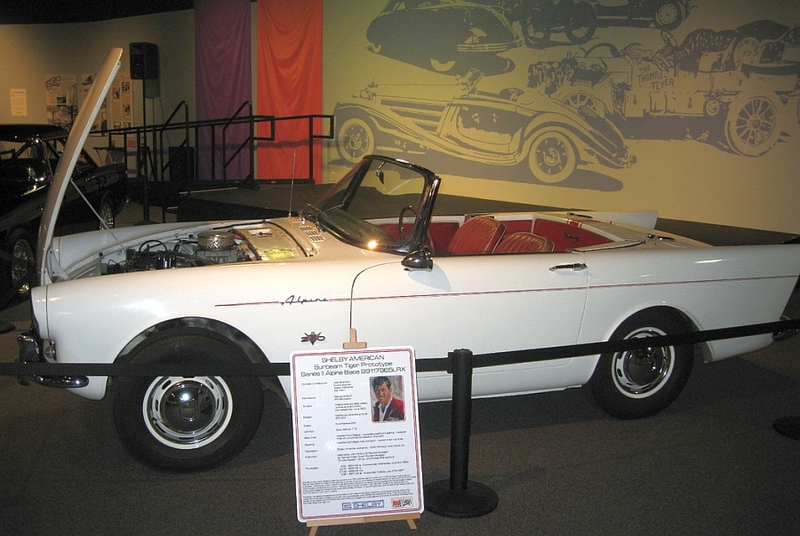 Originally constructed in the Shelby American shop on Princeton Drive in Venice, in early 1963, this car became the model example that more than 7,000 production Sunbeam Tigers followed. The Princeton Drive location is where the Shelby Cobras, the Shelby Racing Cobras and first 20-odd GT350’s were built, before Shelby moved to the larger warehouse at Los Angeles Intl. Airport (LAX). Carroll Shelby put the very talented George Boskoff on the Shelby Prototype Tiger effort, with additional guidance and assistance provided by the incomparable, Phil Remington. 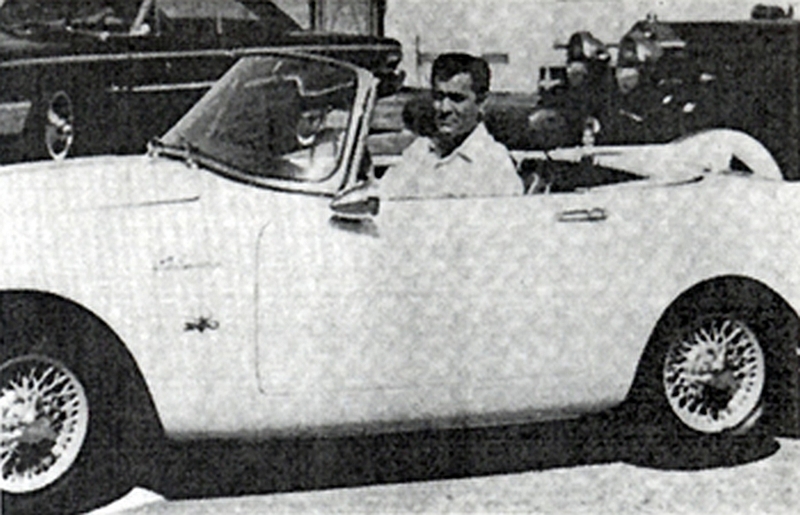 Ken Miles did the shakedown and fine tuning of the car at Riverside Raceway, just prior to sending it off to England for review by Lord Rootes and other engineers and executives at Rootes/Sunbeam. The Shelby Prototype Tiger received a bunch of modifications from it’s Alpine base. The firewall was moved back more than four inches to allow for the engine to be placed further back. The Alpine’s worm and sector steering was removed and replaced with a proper rack and pinion set-up. The rack and pinion steering provided great steering response, a lower mounting location, and more room for a properly placed Ford V8. The Prototype also received a larger radiator and Borg-Warner T10 transmission. 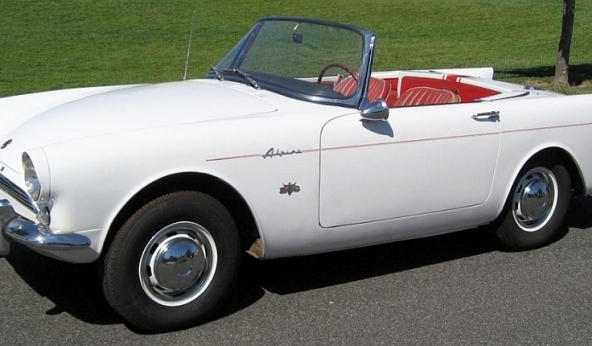 Every one of these changes made their way into the first production Sunbeam Tigers. 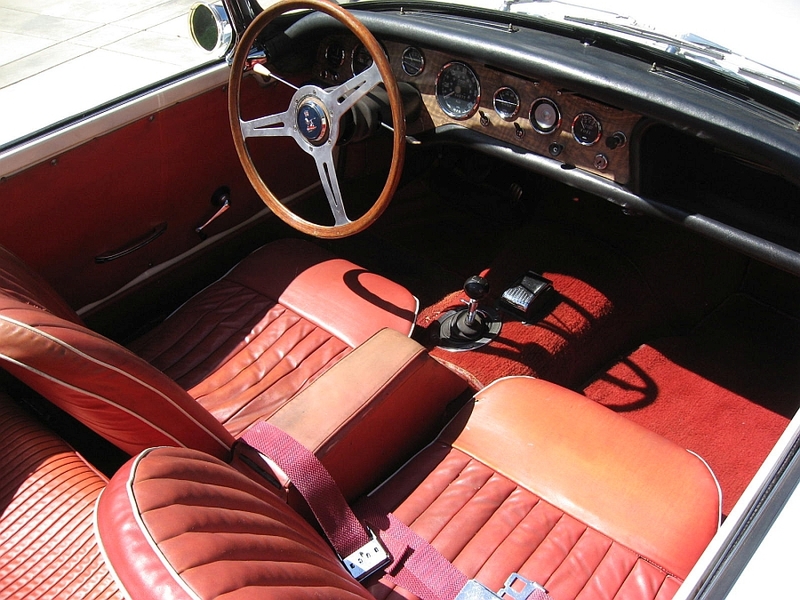 Additionally, this car also received a number of additional parts from early Cobras. 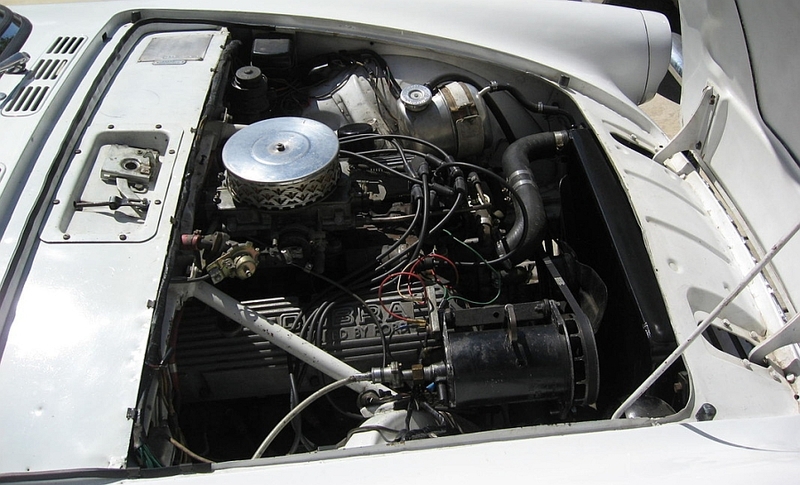 An early 260 Ford V8 as installed in the first several Cobras, a Harrison surge/overflow tank, and the Lucas generator that also drives the mechanical tachometer. Lord Rootes and the others that tested the Shelby Prototype Tiger in England, just loved the car, and they immediately began the effort to source the right parts from Ford, and begin the efforts to build the production Sunbeam Tigers. One additional bit of work that was carried out by Shelby American to the Shelby Prototype after the initial test in England was to fit the car with one of the High Performance (HiPo) 289s. This motor is still in the car today. 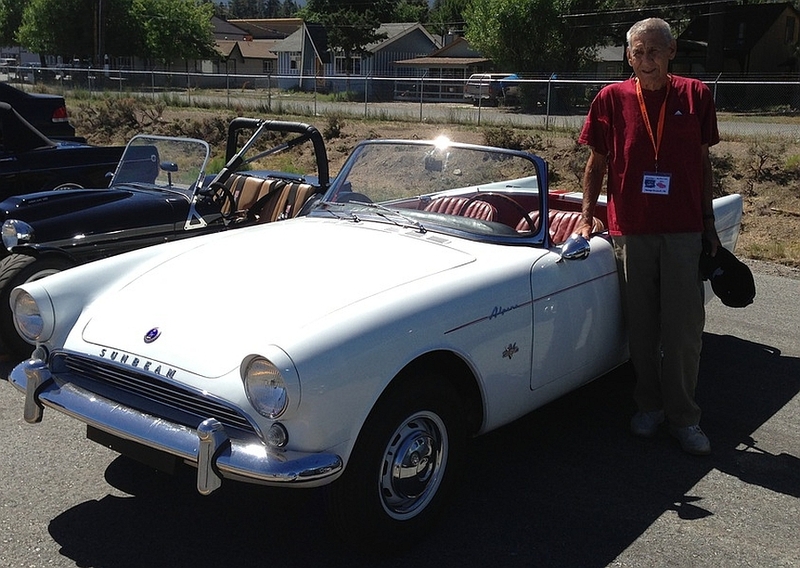 An original HiPo 289 engine was never added to any production Sunbeam Tiger. Even the MkII Sunbeam Tigers built in 1967, which received 289 cu. In. motors, didn’t receive the 271hp High Performance 289. Period Shelby American documentation, Rootes Group Purchase Orders and other documentation included in the photo section later in this document further note this work to have occurred in 1964. Today, the Shelby Prototype Tiger remains in remarkably original spec and condition. Besides an exterior repaint in the 1990s and some undercar exhaust work, nearly everything is as it was installed by Shelby American in 1963.